Color-Fill Film Guides are doodle notes for movies! They are perfect to leave with a sub., give for extension extra-credit, or just to use in class. Students color and answer prompts as they watch the film. The coloring aspect is just enough to help them concentrate. 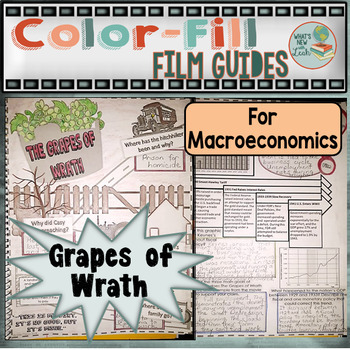 When the film is finished, they have a “Beyond the Film” page that asks them to dig a little deeper into economic concepts in the film. 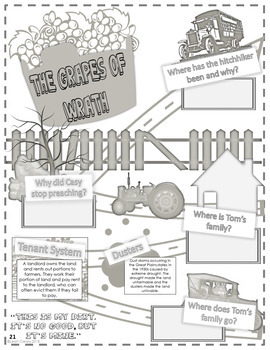 The Grapes of Wrath chronicles the journey of the Joad family, migrant workers during the Great Depression. It deals with macroeconomics themes of employment and encourages discussions about fiscal and monetary policy. 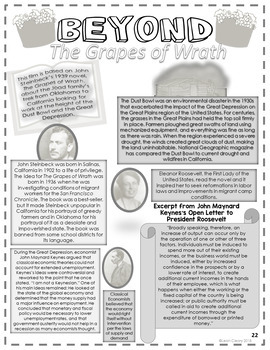 The Grapes of Wrath can be streamed on Amazon Prime or ordered in DVD format. 1.Assign them as substitute teacher lesson plans. Economics teachers have a huge amount of content to cover. If you ever have to be out, these guides will ensure that your students’ time is not wasted. They will continue to learn about the time period in question while you are out. Instruct the sub to print the Film-Guide pages front to back. When you return, assign them the “Beyond” pages. 2.Use the Film-Guide in class as an assignment after you have taught the topic. 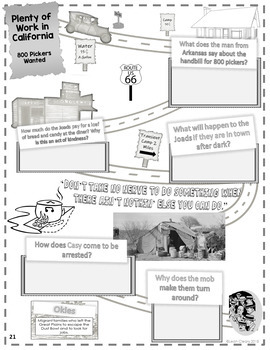 Have students consider what you taught them along with the Beyond Pages after the film is over. 3.Time is an issue for most teachers. Use these as an extension either for extra credit or homework to help your students to consider your topic of study further. Or if you want to enrich your student’s understanding of economics concepts, show it at home, and use the guide for focus and as a springboard for discussion. ♦ Click HERE to follow my store. You will then receive updates about my store. ❤️Connect with Me!❤️ Get free resources and blog updates HERE ! Read my BLOG for classroom ideas, video tutorials, and cheat sheets.